Alhamdulillah, a reminder on these holy nights, that the way towards Allah ‘Azza wa Jal and our way, our religion of Islam is the religion of the love of Sayyidina Muhammad sallallahu alayhi wa sallam. And that to be from the ‘aashiqeen is the way in which all realities open. Alhamdulillah through the life of Prophet (saws), through the companions of the Prophet (saws), through Ahlul Bayt and the family of Prophet (saws), through pious people and Awliya Allah; they teach us the way and remind us of the way. Sayyiduna Bilal ibn Rabah al Habashi (qaddas salahu siru), from the great Sahabi (companions) of Prophet sallallahu alayhi wa sallam, come into our lives and begin to remind us that their lives have tremendous realities. It is not a story tale from an old story, but must be something relevant within our life today. Sayyidina Bilal al Habashi qaddas salahu siru was a black slave from Habash, which is a Ethiopian Region of Arabia. He begins to teach that, “My life and my coming to this reality is that I was a slave.” And again this has to do with the secret of the black and the reality of black and that the reality of ‘abd (servant) because there’s an abd of dunya (material world) and there is the ‘AbdAllah– its reality of aakhira (hereafter). That we speak tomorrow night. The ‘abd of dunya that Sayyiduna Bilal being Habashi and from a black-coloured skin comes to teach that that is the station of annihilation and that the black race on this earth have been tremendously abused; that their history is of immense abuse. Allah ‘Azza wa Jal wants us to understand that is that station of ‘AbdAllah and servanthood. That the reality of servanthood, if it comes onto this earth, is going to clash, it is going to be abused because the shaytans of this dunya, they don’t want the servants of Allah ‘Azza wa Jal. They don’t want the servants of the heaven and they begin to abuse them and mistreat them. And that is the symbol of our life, that their life is a symbol for us that: look how much just because of that colour that we become abused, how much we come under torment. And Sayyiduna Bilal’s life was that he was a slave in the time of the arrival of Prophet sallallahu alayhi wa sallam, that he is coming to Sayyidina Muhammad sallallahu alayhi wa sallam as an abd. Which again, is a station that’s unimaginable; not coming with free will, not coming with, you know, “Okay I think I will follow you, maybe I won’t follow you,” but accepting the message of Islam, accepting the love of Sayyidina Muhammad sallallahu alayhi wa sallam. 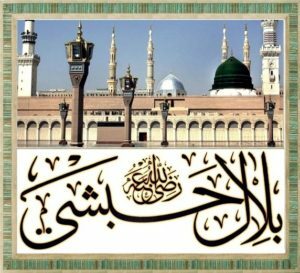 That: “I accepted that message and I wanted to follow Prophet sallallahu alayhi wa sallam, the condition in which Allah ‘Azza wa Jal put me in,” means his birth condition is that he is a slave. At that time the message of Prophet (saws) was asking for them to be emancipated to be free, that every man is equal in the eyes of Allah (‘Azza wa jal). And that was a dangerous message at that time. That their power and their wealth was based on the ownership of people. For somebody to come and declare that you can be equal to someone else, and that you are born free and you die free. That was something unheard of in that region. For owning slaves was something that they were used to it. The life of Sayyidina Bilal qaddas salahu siru, is that when he accepted the message of Islam and accepted the way of Sayyidina Muhammad (saws), the owners began to torture and horrific amount of abuse was put upon him. A reminder always for the way is that we didn’t reach to this point by ease. Everything around us; we take an ajer, we take a learning and a lesson from everything in life. That even the road that we drive on, somebody suffered to pave. They died making roads through mountains, and caves, and through mountains and around mountains. With everything that we have in this life of ease, most likely came through somebody’s suffering, difficulty, and hardship. 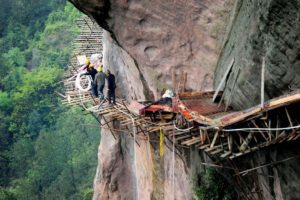 What hardship did they endure to lay that foundation in which we walk, drive and we easily commute? Never thinking about it, how many people were abused, and suffered, and how much back breaking work took to develop these roads. Same for our religious path and spiritual path, that the pious predecessors, they endured a tremendous amount of difficulty in life. And Sayyidina Bilal, being a slave and black and accepting that message of Islam, and the owners were not happy with that. 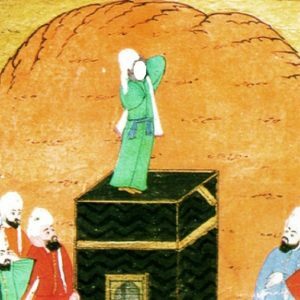 They began to torture Sayyiduna Bilal over periods of time. And they kept telling Sayyiduna Bilal that, “You leave following Sayyiduna Muhammad sallallahu alayhi wa sallam. Keep the religion of whatever you want of our gods or Allah; whatever you want, keep it in your heart and we don’t care.” What they asked him to renounce was following Sayyidina Muhammad (saws). By following Prophet (saws), you would be giving him that power, that authority, and everything in this region will change. It means that is the importance of that message that we reflect upon that they were telling him, that you keep the love of the divine, keep it for yourself private. Why do you have to follow Sayyidina Muhammad (saws)? Why do you have to give credibility to his message? We don’t want you to do that and they began to torture. They say that they tortured Sayyidina Bilal qaddas salahu siru so extensive, so horrifically that it was unmerciful amount of suffering. One such incident that is important for us to remember is that they put Sayyidina Bilal (ra) out into the Makkan heat, 150 degrees with the sun shining. They had put him for many days out into the sun. And that has to do with the station in which Prophet sallallahu alayhi wa sallam, which Allah ‘Azza wa Jal opened because of the love of Sayyiduna Muhammad sallallahu alayhi wa sallam. The difficulty that he put himself through, Allah ‘Azza wa Jal opened the witnessing of that reality of (Ahadiya). That for a Sahabi, Sahabis are open-hearted people, Ahl ul Bayt are open-hearted people; that the zikr they are making is a reflection of the station in which they are at. He was making the zikr of ‘Ahad, Ahad, Ahad’ because he wanted everyone to know he had reached that reality. That was for us to be an understanding of that reality. All awliyaullah come and teach that: when Sayyiduna Bilal qaddas salahu siru was being tortured, he was making zikr ‘Ahad احد’. And that was because of the love of Sayyiduna Ahmad احمد (Muhammad (saws). That the love of Prophet sallallahu alayhi wa sallam opened such immense realities that they say no matter what you did at that time, he’s not going to feel it. He’s in the love and the Oceans of Rahmah (mercy) of Allah ‘Azza wa Jal. What he’s understanding was merely the physicality but in the Oceans of Ecstasy and Divinely Presence. That in itself is a deep reality, that he had reached such a state of Yaqeen (certainty), that the only satisfaction that the he had, the only desire that he had was the zikr of Ahad because of what he was witnessing of the divinely presence. That although the form can be crashed and can be put through difficulty, the soul is Free. And what the soul was witnessing of divine realities, because of keeping the love of Sayyidina Muhammad (saws), keeping the love of Allah (‘Azza wa jal) and the divinely presence. And not falling to temptation of the material world, however sever of light it is constantly tempting us to follow it. And our responsibility is to come against that desire within ourselves and constantly moving towards the divinely presence. Through all that difficulty, Bilal (Q) was just reciting “Ahad, Ahad, Ahad…” With that level of Yaqeen and certainty, that Prophet (saws) give the order to Abubakr Siddiq, the most truthful servant of Prophet (saws), of one of highest ranking Sahabi (companion of Prophet (saws)), that “Allah is giving permission. Free him. Go and purchase Bilal from his owners”. Sayyidina Abubakr Siddiq was sent to buy the freedom of Sayyidina Bilal (ra). Means again it has a tremendous reality for us and the Naqshbandiya way as Sayyidina Abubakr Siddiq is the father of the Naqshbandiya Order. That Sayyiduna Abu Bakr as Siddiq was sent to free and to open that reality, open that maqam; from the sir as-sir to the khafa and to the akhfa is to open that reality. That’s not an action that doesn’t have a reality behind it but has a tremendous reality behind it. That his dispense, disperse to go out and purchase that freedom means take away that oppression, take away that difficulty and to begin that opening. And an understanding in this dunya is that they are waiting for the great Siddiq to open again that reality on this dunya. As that reality is still under oppression in this dunya, that the great Siddiqs to be given order by Prophet sallallahu alayhi wa sallam to open that reality upon dunya . It means for us that is an understanding of the greatness of Sayyiduna Bilal al-Habashi and the realities of the akhfa station of annihilation. Abubakr Siddiq (ra) was given an order by Prophet (saws) that it is enough of the suffering that he is enduring; they are not going to stop until they kill him. Ya Abubakr, buy his freedom for us. Immediately Sayyidina Abubakr went to the owner that was torturing Bilal (ra) and said, please we want to buy his freedom, sell him to me. The owner said, “sell him? Give me 10 gold coins.” He thought that there is going to be a bargaining back and forth. Sayyidina Abubakr Siddiq quickly run to his house and got 10 gold coins and give them to the owner. The owner said “oh, you know…” to show that he placed no value on Sayyidina Bilal (ra) said “oh, had you bargained with me, I would have sold him to you for 1 gold coin. And Sayyidina Abubakr Siddiq got him back, said “had you bargained with me, I would have bought him for 100 God coins. Immediately he (Abubakr Siddiq) took him, freed him, emancipated him. Sayyidina Bilal (ra) asked, that the freedom that you are freeing me for, if it is for you I will serve you with my life. But if you have purchased my freedom for Allah (aj), then leave me to be free to serve Allah (aj). Sayyidina Abubakr Siddiq said, no I have purchased you for Allah (aj). You are free to serve Allah (aj), not to serve me. That level of love and sincerity means that is for us always the example of the love of Sayyidina Muhammad (saws). That he (Bilal (ra)) was told that if you want to love Allah (aj), love him privately, do what you want, what you got to do anything else. Why do you have to set an example? What was dear to Allah (aj) was that he would Not come against prophet (saws). He said “I am willing to endure that difficulty that torture, that torment, all for the love of Sayyidina Muhammad (saws). To keep the way of Sayyidina Muhammad (saws). To be from the Ashiqeen (lovers) of Sayyidina Muhammad (saws). Allah ‘Azza wa Jal gives us as a reminder for ourselves, ‘cause the holy Companions, they are constantly guiding us, watching and praying for our souls, that these stations of difficulty that we endured. 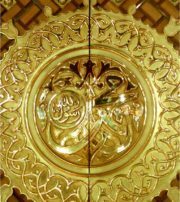 And all the Companions and all the Ahl al-Bayt all endured tremendous difficulty in the way and in the love of Prophet sallallahu alayhi wa sallam. And they want to dress us from that reality to understand that the struggle you put in life is a struggle in the way of Allah ‘Azza wa Jal but you struggle with the love of Prophet sallallahu alayhi wa sallam. That Allah teaching that, “If you want My Love, follow. Be from the tabi’een and I will dress you from My Love.” That is the dress of love. When Allah ‘Azza wa Jal opens the chest, releases the soul and begin the witnessing of this dress and these realities, that is the reality of the ‘aashiqeen (lovers). Means it’s important for us that what were the Companions fighting for? What were they struggling for? What were they believing in? They hadn’t seen Allah ‘Azza wa Jal, they hadn’t seen any Holy Qur’an; they hadn’t seen anything! But what they did see, they loved. What they did see was Sayyiduna Muhammad sallallahu alayhi wa sallam. 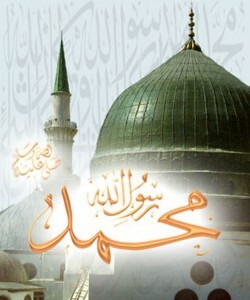 They saw the haqq of Nabi Karim, Nabi al-Karim; they saw the haqq of Nur ul-Muhammadi sallallahu alayhi wa sallam. They said that, “Your describing of compassion, if you are the Compassionate, an example of what you’re describing of Allah ‘Azza wa Jal, we are accepting. If you are the Merciful and your character is so merciful, we now understand what you are talking about of Allah ‘Azza wa Jal, we’re accepting.” Means their acceptance was in the love of Prophet sallallahu alayhi wa sallam. They accepted the character of Prophet sallallahu alayhi wa sallam as an example of that Creator that, “What we’re going to know of Allah ‘Azza wa Jal we’re seeing it through you. That your character and trustworthiness, your beautiful nature was of such a way that we accept whatever you are telling us.” And that’s how they gained the love of Allah ‘Azza wa Jal. And that was a danger. That’s going to change the way all of servanthood on this dunya, that this dunya is based on serving shaytaan, serving the dunya and material desires. But following the way of Sayyiduna Muhammad sallallahu alayhi wa sallam is the way of haqq and truth. And the truth will set you free. The holy companions of Prophet (saws) teach us the way of love and teach us the reality of love. That which you love, you sacrifice for. That which you love, you suffer for. That which you love, you endure through whatever difficulty Allah (aj) wants us to endure in life. For us it is so much smaller. They are talking about people who were horrifically tortured and put to abuse. For us, ok we get in the car, we have to come for Jum’ah, we have to come for Zikr. We have to do all these things; we sacrifice from our bank account, we sacrifice from our time. We sacrifice from the kitchen to make some rice, to make some food to bring in the way of the love of Allah (aj) and love of Prophet (saws). We sacrifice sometimes from our appearance. We have an appearance that is slightly different but, that is an appearance in the love of Sayyidina Muhammad (saws). So that people look at us and know that we are Muhammadiyon. That is all the way of love that companions and Ahlul Bayt paved for us. They paved the way by example, that we are not telling you something that we didn’t do but we lived through it. Alhamdulillah, from the levels of the heart and from the understandings of the highest levels (of the heart) which they call the akhfa (5th Station of the Heart). Its secret is in the colour black. In the reality of black and black is a colour which absorbs everything because colours are what reflect back to you. The green is what didn’t absorb and reflects back to your eye. The black, it absorbs everything. It is the reality and station of Fana, station of annihilation in the divinely presence. The colour black is significant in our reality. 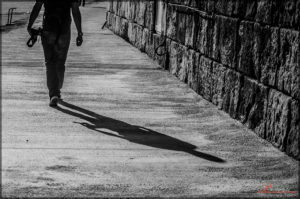 It is the shadow that always accompanies you. That Sayyidina Bilal (ra) represented the Akhfa reality, the secret of why black is under so much difficulty in dunya. It’s the shadow of that divinely presence. And all the world wants to do is to make it to suffer, enslave it, and to crash it. 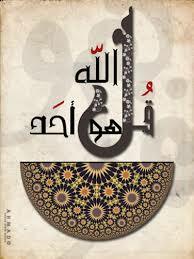 Allah ‘Azza wa Jal gave for us all: that akhfa reality is our shadow. Means that we are not left here without a reminder and we’re not left here to be that, “Ya Rabbi, we didn’t know,” because Allah ‘Azza wa Jal said, “No you did know. You had your own reality constantly attached to you.” Means the one that stands and you see this (shadow) on a nice sunny day. Means face the sun; face the light because it’s an example of that which is eternal. The light is eternal. Seek always the light in your life. Don’t seek the world of form and everything that perishes. That light, that symbol of the sun, that sun is the same sun that Sayyiduna Adam alayhis salaam saw. Means it’s a symbol of eternity, not to be worshipped, but for us to understand Allah ‘Azza wa Jal is The Light, the Divinely Presence is the Light. Prophet (saws) was always teaching his companions, that if you want to catch that shadow and want that shadow to follow you, you move towards the light, it will follow you. As much as you move away from that light, you can chase that shadow all you want, you are not going to catch it. Prophet (saws) stood by the Sun, and the Sun was above his head, and said to his companions stand next to me. Now run and chase your shadow, and the shadow was in front of them as the Sun was behind them. As much as they run away from the light, they could never catch their reality. It means as much we run away from Allah (aj), we can never catch up our reality. Then Prophet (saws) told them now turn around and face me. When they were facing Prophet (saws) and facing the Sun, which represented the light, now run towards me. They began to run towards prophet (saws). He (saws) said, you see this reality is now running after you. It is following you so you can reach it. Allah ‘Azza wa Jal sent a reminder for us: “Oh you that stand upright and think yourselves to be something, and walk high, strong, and proud on this earth, look behind you in sunny day, and you see a black man following you everywhere.” Allah ‘Azza wa Jal attached for us a nothing. That is the Akhfa reality of yourself. You have your own akhfa, you have your own slave attached and sewn to your feet and it’s always in sajdah to Allah ‘Azza wa Jal; reach to that reality. Why can’t you be like your shadow, that is always prostrating in my divinely presence. The only thing arrogant about you is the one standing. The one that is standing upright, that one has to be brought down, that bad character has to be brought down. Then Allah (aj) gives us a black man to follow us always. He gives us that reality always to be with us. Mawlana Shaykh is teaching that annihilation is always copying you, always by you sewn to your feet. Alhamdulillah, Mawlana Shaykh reminding us that the science of annihilation is a very fascinating way of understanding what is annihilation – is that if you add one cup and one cup, you have two cups because they are still in the world of form. And the whole way of reality is to lose the form. It means the whole way of ma’rifa is that this form in which Allah ‘Azza wa Jal gave us a donkey in which to ride onto this earth, that is the one that has to be taken away, has to be effaced and negated so that to enter back into the realities of light, of our lucid and liquid state. Then they teach that in the liquid state, one drop plus one drop is still one drop. So depending upon what you’re adding, that equation is going to be relevant. If you’re adding two forms then yes, there’s going to be multiple. But the reality of annihilation and the reality of tawhid and the Oceans of Oneness that we cannot reach La ilaha illallah but we can reach to the ocean of Muhammadun RasoolAllah sallallahu alayhi wa sallam. And the way to be one in that ocean is to lose the form ‘cause as many drops as you put back into that ocean, the ocean remains one ‘cause each drop will be lost and back into its origin. That is the akhfa reality that: lose and annihilate your form. Then awliyaullah come into our lives and teach us that: be like that, contemplate like that, make your tafakkur, make your contemplation, understand the difficulties in life and have a life that has a value. That value of life is only if you are struggling in the way of Prophet sallallahu ‘alayhi wa sallam. Struggle to keep your (spiritual) centres open, struggle to keep the way of Prophet sallallahu ‘alayhi wa sallam; struggle to keep the love and the example that wherever you go, you are Muhammadiyun. You’re not hiding it and calling yourself ‘Mo’- who’s ‘Mo’? You are Muhammad and we are Muhammadiyun. How many places, you go somewhere and you meet somebody called ‘Mo’? What is that? Why are you hiding from Allah ‘Azza wa Jal and why are you hiding from Prophet sallallahu ‘alayhi wa sallam. Are they the ones who should be hiding from us and ashamed of us? And that’s the struggle, that’s what they’re teaching us is a struggle, not that we’re going to be tortured like Sayyiduna Bilal. We don’t have that maqam and today if you twist somebody’s finger they’re going to denounce everything they believe and say, “That’s it. I’m going.” They put big symbol of themselves and say, “That’s it.”They’re not saying that but saying just a simple struggle to love Prophet sallallahu alayhi wa sallam more than you love yourself. Be proud and happy to carry the way and the flag of Prophet sallallahu alayhi wa sallam. 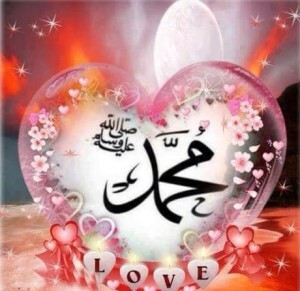 Live a life in which you struggle to keep the love and the example of Prophet sallallahu alayhi wa sallam alive. And they begin to remind: look to your shadow, keep your qibla always towards the light and you should find all your realities are running after you, wanting to give you from their blessings, wanting to support you because you are trying to be from the AbdAllah (servant of Allah) and Ubaidullah following those who are in the service of Allah ‘Azza wa Jal. Companions were teaching us through example, through love. And the amazing story of this companion that suffered through horrific difficulty to proof his love for prophet (saws). Through the torment and torture, reaching to the realities that Allah ‘Azza wa Jal wanted to dress Sayyiduna Bilal from; and that Prophet sallallahu alayhi wa sallam was dressing him. All of that dress was from the love of Sayyiduna Muhammad sallallahu alayhi wa sallam. Means to be tortured for the sake of Prophet sallallahu alayhi wa sallam, not wanting to leave Prophet sallallahu alayhi wa sallam and reaching for us the reality of the akhfa stations, the reality of the fana, reality of the zikr of ‘Ahad’, Abdul Ahad (servant of Ahad); and that he had reached such a state of certainty and yaqeen, that through that torment his zikr was ‘Ahad, Ahad, Ahad’. Prophet (saws) asked Sayyidina Bilal, “you call the Adhan. He doesn’t have to explain to the companions. That this darajah and this maqam (Station) of this sahabi is so high that when he calls, he is calling from what he sees and witnesses in the divinely presence. But he had unfortunate lisp in his Adhan, that when it came to “Ashhadu An la ilaha ilAllah”. He would say “Assadu…” because he had a lisp. And the Arab speaking were upset with that. So one time, Sayyidina Bilal called the Adhan and said “Assadu an La ilaha ilAllah…” with all the realities and all the blessings. Some of the newer Companions who were not aware of that maqam, came to prophet (saws) and said that “his Arabic is not correct, May be we can have somebody who recites more perfectly to call the Adhan. This is a big lesson for people who now are so stuck on the external. And this is now somebody even before the salaah; forget about people arguing about the salaah and everything, “Oh you don’t say ‘Allah’ right. You don’t add enough a’s, you don’t add enough sound into it.” Everybody is so fixated on the sound as if Allah ‘Azza wa Jal is listening to your sound and looking to your sura, to your form, where Allah ‘Azza wa Jal doesn’t look to the form and he doesn’t care about what your lips have to say. Allah looks to the heart of the believer and this is the daleel and the proof of that reality, that someone with such a yaqeen, Prophet sallallahu alayhi wa sallam knowing that he’s saying ‘Assadu’, knowing that he has a lisp, but knowing and wanting to teach the Companions, teach us because we are coming and we are in need of these lessons. It’s not what his lips say that’s important but the yaqeen and the certainty of his holy heart, what he has endured to achieve a love that Allah ‘Azza wa Jal granted a yaqeen in which his zikr is ‘Ahad’ and that was the importance. “fattabi’oni”, what better of the tabi’een (followers) than the ones that suffer and take a life in moving towards the love of Sayyiduna Muhammad sallallahu alayhi wa sallam? And that is the proof of that Divinely Love that all the amal and every amal, ‘cause from the mu’addhin that’s calling us to the salaah, imagine then the salaah if you’re not reciting correctly. Prophet sallallahu alayhi wa sallam is showing us that it’s not that it counts but what counts is what’s in the heart. 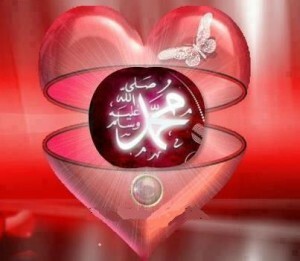 What’s in the heart and what’s connection with Divinely Presence, connection with Prophet sallallahu alayhi wa sallam, connection with awliyaullah. We pray that Prophet sallallahu alayhi wa sallam always inspire within us that we be dressed by the holy Companions, that their nazar (gaze) and their watching over us and blessing us and dressing us and teaching us from their example, and that that has a tremendous example of the importance of yaqeen, the importance of muhabbah and love; and that if Allah loves us everything is possible. Means the religion of Islam is the religion of the love of Sayyiduna Muhammad sallallahu alayhi wa sallam, which is the love of the Divinely Presence. We pray that Allah (aj) allow us to understand the station of that proximity and station of that love; and the station of understanding how much they endured against themselves and never harming anyone else. At that time Prophet (saws) showed the greatness and value of humanity for all of humanity. And the love and the respect that he had was big for people who had no respect for people. That the nation that Prophet (saws) was building put a black Habashi to call the Adhan for prayer. It means they were revolutionary at that time. Prophet (saws) was showing, that what you think with your eyes and what you know with your ears, none of them count. This is the way of the heart and the way of the soul. Don’t judge your book by its cover, because you don’t know pages are inside. The outside might have many defects, many different forms, what is inside is what counts. The reality and closeness that it has with Allah (aj), is what counts. We pray that Allah (aj) opens for us the understanding of the Holy Month of Rajab, holy month of Shaban and holy month of Ramadan.